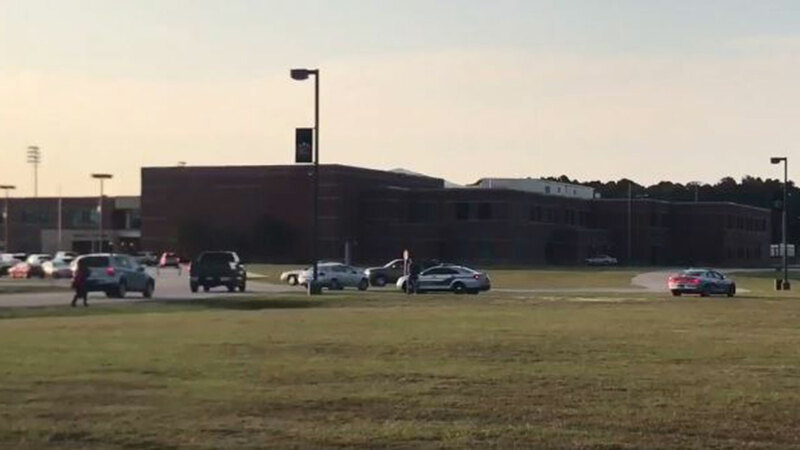 CUMBERLAND COUNTY (WTVD) -- There is an increase in law enforcement presence at Gray's Creek High School after threats of a riot Friday began circulating on social media. The threats come amid a Confederate flag controversy and other racially charged language on campus. Gray's Creek High School's principal Lisa Stewart sent a recorded message to parents Thursday night to "address concerns regarding a potential disruption to our learning environment." "We have been made aware of social media posts making reference to students forming a protest tomorrow at school," the message said in part. "As you know, protests are welcome in our society, but are not welcome on public school grounds. Students will not be allowed to protest in any capacity tomorrow." She said there would be additional law enforcement on campus in the morning and throughout the day to ensure the safety and security of all staff and students. Stewart also reminded students to "revisit our school dress code in their handbook or online or on our school website."